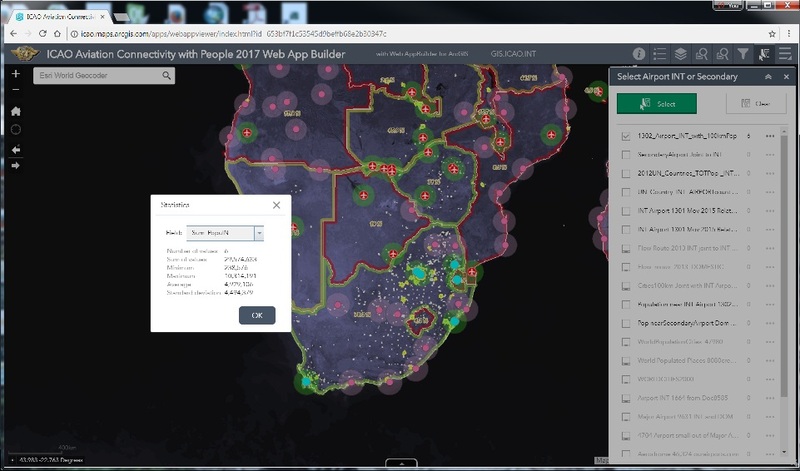 Super Good news: We receive the new version of Aeronautical Data today.. update the 14 March 2019 and its install in ALL SERVICES. You are able to do that: Map Harar Meda airspace in Ethiopiain 2 minutes! 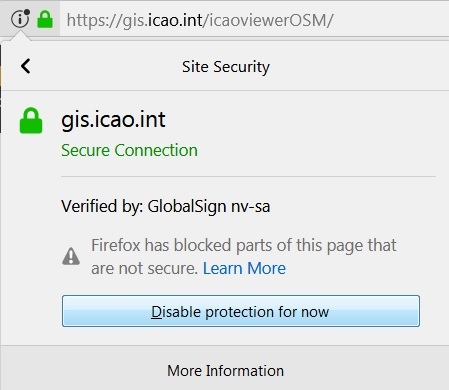 Because the sales for my ICAOFIR © are decrease, I have disabling the services directory on our ArcGIS server, because the new way to take my data; it's to go there and make a Query to take the Database behind the GIS SERVICES to create Aeronautical API downloader, now it's not valid anymore! also Don't forget to click on: Load unsafe script in your Browser... For people need some data just send me an email or Buy with the links. 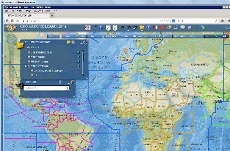 TUTORIAL for the ICAO Viewer: Creation of a Map, ADD external GIS services, printing and saving your work! Minor change in the ICAO FIR: FIR Sondrestrom to rename FIR NUUK. 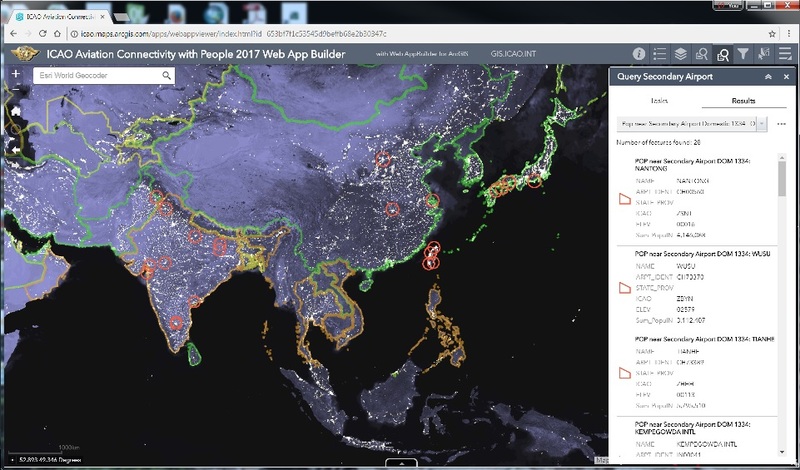 Very good AIP, with true Interactive mapping better than PDF version from many other eAIP, I want personnally take time to congratulate all your effort to do that, very powerful version for the Spain, Bravo! You can access an interactive map of Spain where you can select information from several diferent charts as layers, Take your time to go to all the layers very good interface. Important notice: So when you use the Identify on the map, the Airplane name what you obtain is the first of related one, means all the other records 115 are summarized but not the first airplane name. You have also the count for the number of same Market Pair example: for LHR-JFR and the JFR-LHR we have 115 count records in the 836,954 combinations BIG DATA 14giga. 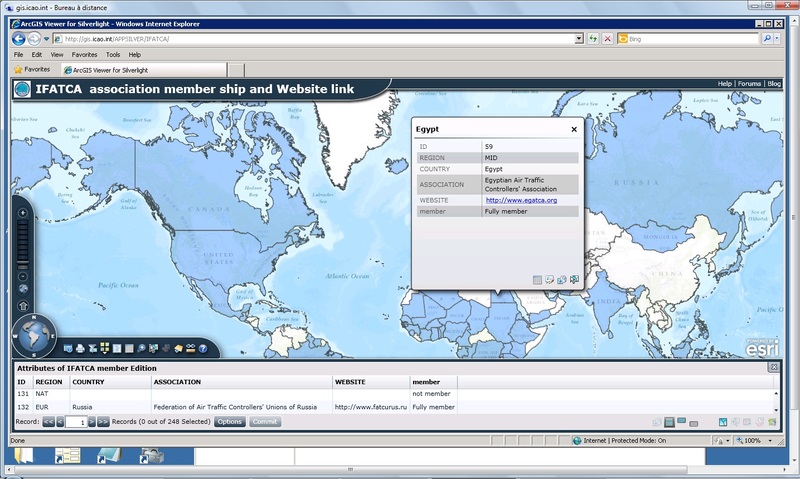 ICAO DATA Plus the perfect tools to work with that GIS services Graphic Interface coming Soon! The routes shown contributed majority of the emissions (nearly 80% of the total for all scheduled international flights; non-scheduled flights are not included). All calculations and maps are by Gilbert Lasnier. 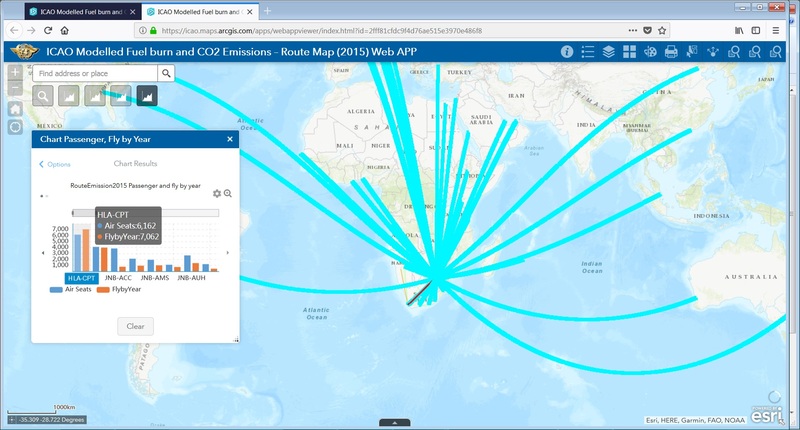 Data on individual route emissions is from the comprehensive "ICAO Aviation Carbon Footprint, 10% less precise then with the true calculator from ENV Section Global Scheduled International Flights - 2015". 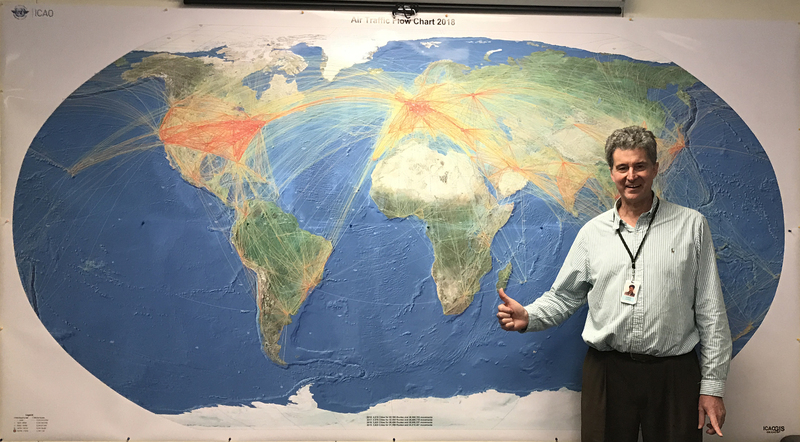 The map illustrates the scale and complexity of international aviation: 200 countries, more than 500 airlines, few thousand aircraft operators, and more than 836 thousand of routes (subset shown). The map's legend, on the left, for emissions per City pair route and number of various routes. 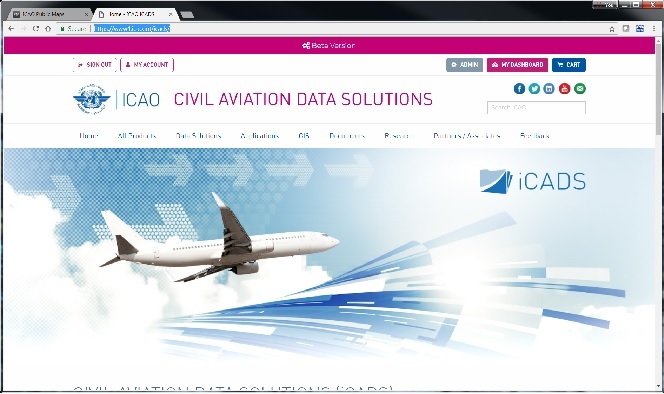 Buy ICAO Big DATA analysis for many usage! In March of 2016, the International Civil Aviation Organization (ICAO) established the Global Aeronautical Safety System, or GADSS. The intent behind GADSS (Global Aeronautical Distress & Safety System) was to help ensure no planes would ever 'disappear' again, especially over remote and oceanic airspace. The lack of surveillance over a majority of the earth has resulted in the inability to maximize efficiencies in the air traffic system and contributes to tragedies like MH370 and AF447. A survey is being conducted among those Contracting States that have accepted the responsibility for the provision of air traffic services in oceanic areas, in order to build up a database of the dimensions of the oceanic areas where ATSUs obtain position information at greater than 15 minute intervals. AIREON: SPACE-BASED ADS-B MAKING GLOBAL AIR TRAFFIC SURVEILLANCE A POWERFUL REALITY; With 50 satellites now in orbit, the Iridium NEXT constellation is over seventy percent complete.. The Aireon Solution: Space-based ADS-B extends the same ADS-B technology currently received on ground-based receivers to space. Aireon's high-performance payloads, hosted on the new Iridium NEXT Low-Earth Orbit (LEO) satellite constellation, will receive aircraft ADS-B messages with a high level of precision and security, and relay them to Air Traffic Controllers in real-time. There are a total of 66 Iridium NEXT satellites, with significant overlap and redundancy, built in the system to provide a safety-of-life service to the aviation industry., Edmonton Flight Information Region (FIR), operated by NAV CANADA, will go live utilizing space-based ADS-B in late 2018. This will be the first FIR to operationally use space-based ADS-B in their airspace.. Aireon Iridium NEXT constellation seventy total satellites, Aireon ALERT will be fully operational and allow all registered stakeholders to track any aircraft that is in an apparent alert or distress phase. In 2018, Aireon will deploy a global satellite-based system capable of tracking and monitoring aircraft around the globe in real-time. AIREON videos: Global Beacon will comply with ICAO GADSS recommendations without the need for additional avionics or equipage. 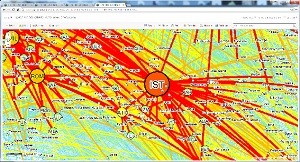 AIR TRAFFIC SURVEILLANCE A POWERFUL REALITY. ICAO endorses space-based ADS-B surveillance. The NM DISTANCE are calculate with a Python script : !shape.geodesiclength@nauticalmiles! so the distance resulting are very precise using geodesic calculation with the coordinates of the Departure and the Destination. Flight Planner: Just enter you Aerodrome like Departure: CYUL and Destination: CYVR then Click on GO, Click on CSV under Download, Open in Excel add one title line: CODE 5LNC ELE LAT LONG Save in CSV WITH A NEW NAME, Drag and Drop that file on the ICAOVIEWER, Your flight path is on the Map, Draw other things you want with the: Draw tools or with the EDIT layers Point, Polyline, Polygon, Open other layers of your choice from ICAO layers and Save in Pdf or other format under Print Menu or Print directly. Also take a look at the 40 Basemaps in the Carousel! 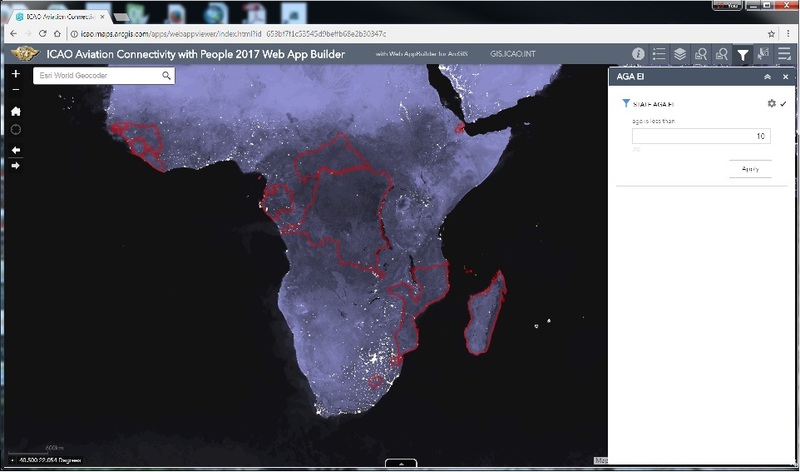 Thanks to David Spriggs and Brian Bunker from ESRI, also Tim McGee for his great contribution to help me configurate the viewer. 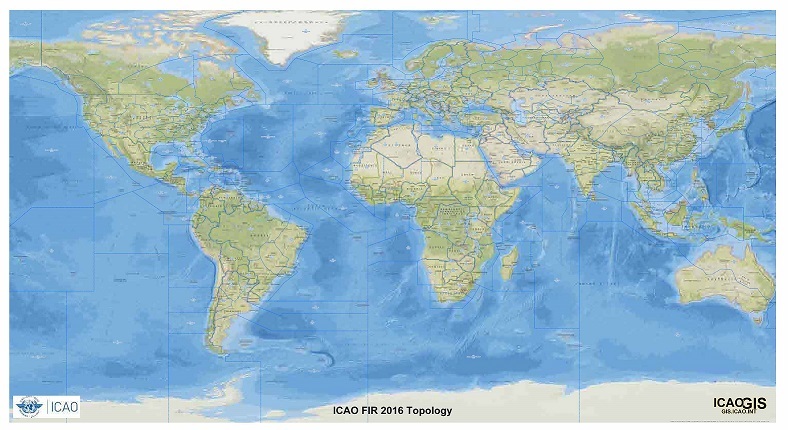 A major update is coming for the ICAO FIR on 2 May 2016 in the both services FIRWORLD and FIRMSD (Boundary will be more precise, no gap with adjacent FIR (Topologie Rule), micro movements are corrected, many new amendments almost 300 changes, UIR and FIR, new GEODESIC LINE connection, new Mexico-US Boundary and US-Canada Boundary. Click on: Load unsafe script in your Browser. 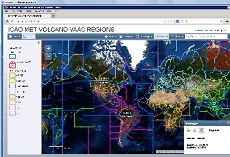 We use the ICAO viewer but with fewer layers, services and Basemaps, We then add layers from WFP and layers for the Disaster areas from USGS, USDOI, ESRI and others. 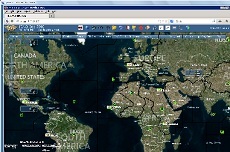 View APP ICAO WORLD AIRPORT DATABASE with selection and export!!! We are working presently to use AI (Intelligence Artificial) to verified the position: Lat Long of our airport in different database, to do that we take 40,434 screen shot in OSM open street map to check the runways positioning with a mask and after we make the same thing with Google map to make a correlation between OSM AIRPORT and GOOGLE SATELLITE imagery to be sure that airport has a good location (we create also a new Lat Long ARP AI with the centroid of runways calculation best circle envelope) , after we make a lot of Look up to add ICAO code, IATA code, type of airport (public military private closed), characteristic of the airport Runway surface (Asp Concrete and other) and many other fields. 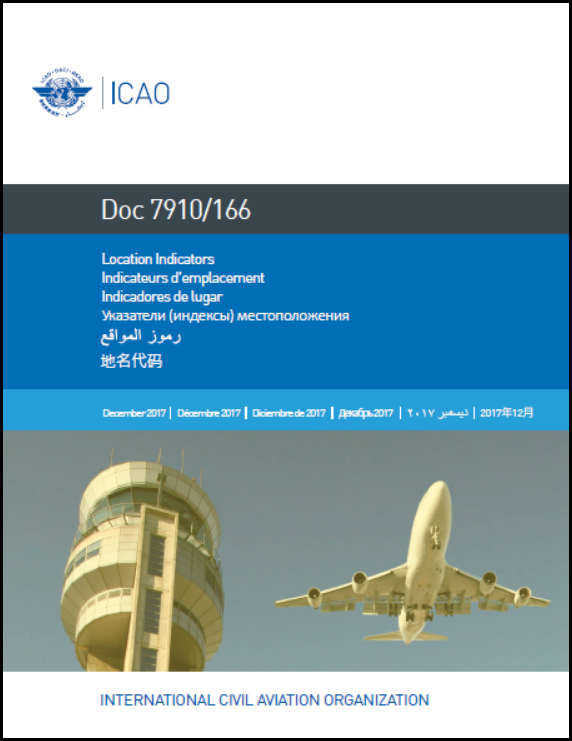 At the end with the new certified ICAO Airport Database; we complete the Doc 7910: 17,500 Location Indicator, 6050 with no Lat Long to complete and 11500 with Lat and Long to verified also the good positioning, Ruichun Lin and Gilbert Lasnier are working on that! and more print map, change the Base Map, Measurement, Draw, Share, play with all the layers and use the Identify, have fun! Tsunami awareness day Story Map Tsunami Presentation in Const. For ATS Route, Open ICAO ROUTE 2016, open ATSROUTEall. Search for ATS Route All (980) (M7) and type in Caps the Route Designator or new Route Designator you want create; if you find a route you must change the name of the route until you fin nothing (try by step of two ex: A246 existe you go for A248. select: WayPoint Operational(PEXON)(MNV)Chars2, Operational way point upper database to find a 5LNC in the Operational database. select: 2473 AllDup2016 (MAHDI) or (Region), in the ICARD database to find a 5LNC Duplicate in 2016 ICARD database. select:1393 Dup >828NM (ABALA) or (Region), in the ICARD database to find a 5LNC Duplicate greater than 828 NM in 2016 ICARD database. select:1060 False Duplicate smaller than 25NM (BOFIN) or (Region), in the ICARD database to find a 5LNC Duplicate smaller than 25NM in 2016 ICARD database. 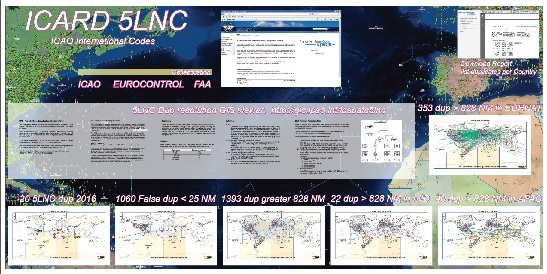 ICARD 5LNC GIS services have a direct ORACLE link with the database ICAO ICARD 5LNC system on ICAO portal, so the data are always updated automaticaly, not the shape files analysis. Take a look at the file, ether-low precision at 151KB or hight resolution, 500 meg in the projection you want: WGS84 GEO, Robinson (World) etc... Also personalize the print outs: Just ask your region! Take a look at the file hight resolution in the projection you want: WGS84 GEO, Robinson (World) etc...OAG 2015 Datand also 2016. Also personalize the print outs: Just ask your region! 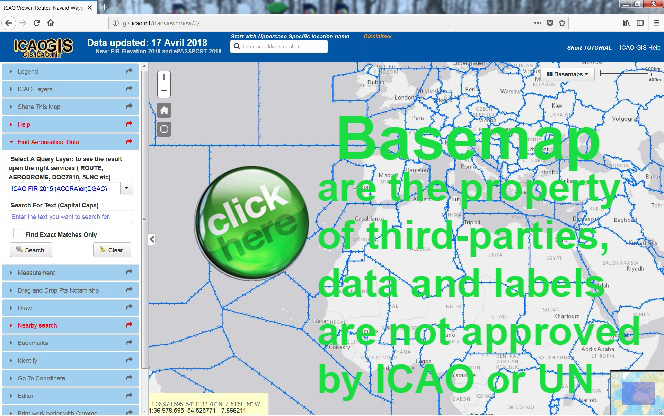 Take a look at the real Interactive ICAO States Story Map (clik on the screen shot bellow) including all delimitation of the ANP region, the ICAO Members States, 36 Council Menber States, the Regional Offices link, and the States Story link in pdf format. Also with a little work you are able to personalize for your region! ICAO ATS Route Elevation Profile(Click on the link below) USE THE ARROW ON THE KEYBOARD TO MOVE THE MAP and put the mouse on the Elevations Profile. It would be great if it could pick up highest elevation on that route? YOU MUST BUY TO OBTAIN THE LATEST VERSION. 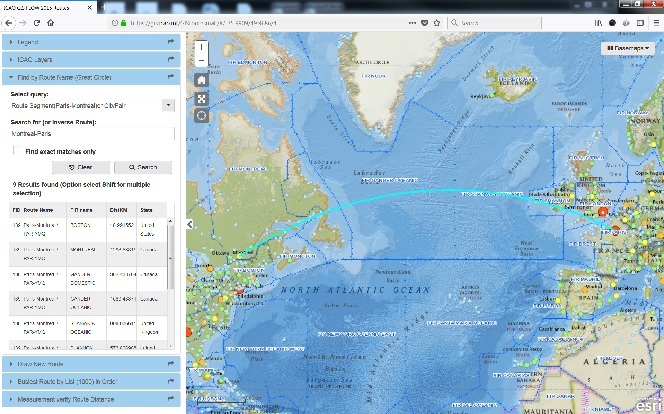 Interactive Demo: ONE OF THE BEST VIEWER ICAO FIR 2016 VIEWER (just bellow) with search popup, search by shape,table,export. You receive the last one ICAOFIR 2019 from last month. Is not a subscription because the data are not changing enough.. When you buy that product you received 2 products: ICAO FIR for calculation (ICAO FIR with elevation and many attribut Attributes, ICAO FIR Large with Upper and lower and(FIR elevation and Attributes. You have update for two and three year for Free, just send me an email with your PO number, I send you the latest update. The updates are made at each 3 month depending of the amendments we received and we compare always the data at each month with the AIP or other sources. 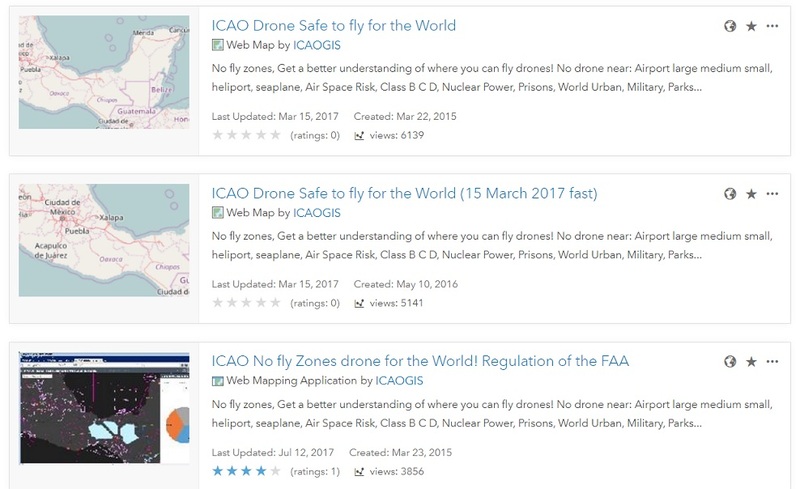 Get a better understanding of where you can fly drones! No Drone near: 9631 Airports (large, medium, small, heliport, seaplane base, with 5 miles buffer, 46325 Airports with 5 miles buffer from ourports.com, SUAS RESTRICTED AREA lower, CLASS B C D, many other layers like: Nuclear Power, Prisons, Parks and Military zones via Open Street Map, ATS ROUTES, CTA, CTR, SCTR, World Wind from NOAA (Disconnected), working on Heliport database and Private Airport. 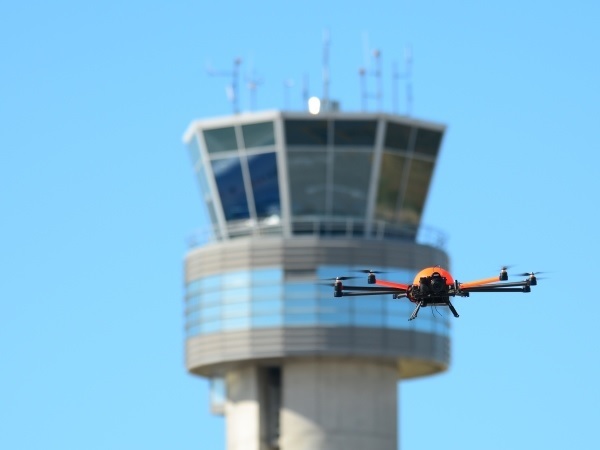 airsight launched last year innovative services for the inspection and survey of airport assets and completed the first successful commercial flights at Hamburg Finkenwerder Aerodrome and Berlin Brandenburg Airport. Please contact us per email (Mr Soren Furbas, s.fuerbas@airsight.de) for more information or to get a custom quotation for our services at your aerodrome. Phantom 4 presentation Phantom 4 presentation DTM receiver! 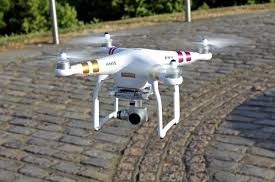 The use of drones to capture high-resolution imagery of local areas has grown in popularity in the past few years. 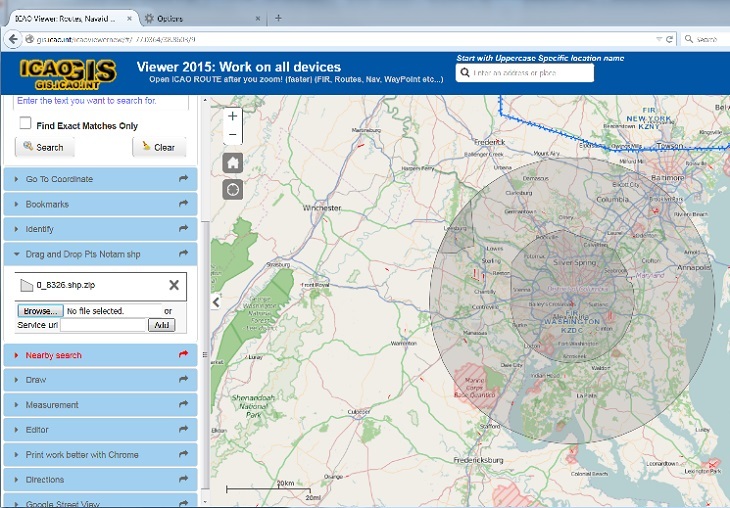 Learn how to use Drone2Map for ArcGIS to import drone imagery for your geospatial needs. This course focuses on best practices to capture and validate your drone imagery. Drone technology is transforming traditional field data collection and imagery-production workflows. In this seminar, learn how Drone2Map for ArcGIS helps organizations save time, reduce costs, and increase speed of operations. The presenters demonstrate how to create orthomosaics, point clouds, and 3D meshes from drone-captured imagery, then quickly share and work with those products in other ArcGIS apps, including ArcGIS Online and ArcGIS Pro. 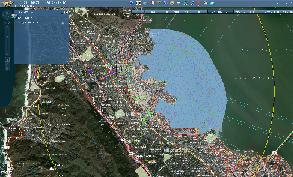 Drone2Map for ArcGIS turns raw still imagery from drones into stunning information products in ArcGIS. This course teaches how to create 3D point clouds, 3D texture meshes, and 3D PDFs. Drone2Map for ArcGIS transforms your drone-captured imagery into professional-quality 2D and 3D imagery products in ArcGIS. This course teaches how to create orthomosaics and digital surface models from drone-captured still imagery. Drone technology is fundamentally changing long-held fieldwork practices and business models, and enterprises are learning how to effectively leverage this emerging technology. With Drone2Map for ArcGIS, drones become more than just image capture devices�they are enterprise GIS productivity tools. Learn how to create orthomosaics, point clouds, and 3D meshes with Drone2Map for ArcGIS, and quickly share the results within an organization. In the past few years, drones have become an increasingly common way to capture high-resolution imagery of local areas. In this lesson, you'll add drone images to a map in Drone2Map for ArcGIS and create a 3D model. Drone imagery allows you to inspect areas that are difficult to access. 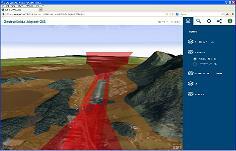 This course will show you how to use the Drone2Map for ArcGIS Inspection template. This template organizes the drone flight path, photos, and notes from the inspection. Phantom 3 PRO Phantom 3 PRO how to safe flight paths and much more! Pix4Dmapper software automatically converts images taken by hand, by drone, or by plane, and delivers highly precise, georeferenced maps, mosaics and 3D models. 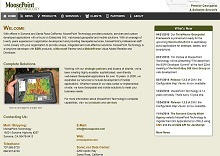 Theyre customizable, timely, and compliment a wide range of applications and software. 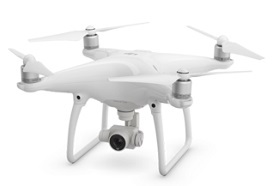 Pix4Dmapper software Pix4Dmapper software: Using a DJI Phantom 3 Professional to manually capture the map images with 70% overlap and 45 deg orthographic JPG images to process in Pix4D. The resulting Orthomosaic and rendered Point Cloud and 3D Texture Mesh are shown. 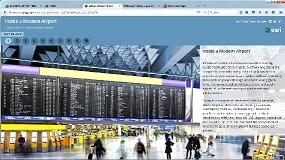 Take a look: ESRI Airports and Aviation main page! 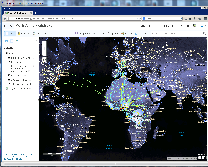 ICAO TRAFFIC FLOW FORECAST achievements in GIS Aviation for 2002,2010,2020,2030,2040.They are beautiful and wonderfully demonstrate what is coming in regards to air travel. 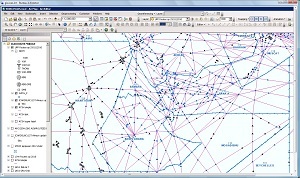 The 2010 data on aircraft movements traffic was sourced from the Official Airline Guide (OAG) and grouped by 32 major traffic flows worldwide. The projections for the years 2020, 2030 and 2040 are a by-product from the results of a commercial aircraft fleet-mix forecast model developed by the ICAO Secretariat in 2013 . The main function of the model is the prediction of the aircraft fleet mix (aircraft by seat class) operated on each route. The commercial aircraft fleet is grouped into 9 seat classes (depending on the number of seats on the aircraft). The model uses as input ICAO forecasts by traffic flow along with assumptions on the future evolution of load factors, aircraft utilization, aircraft retirement curves among other parameters. 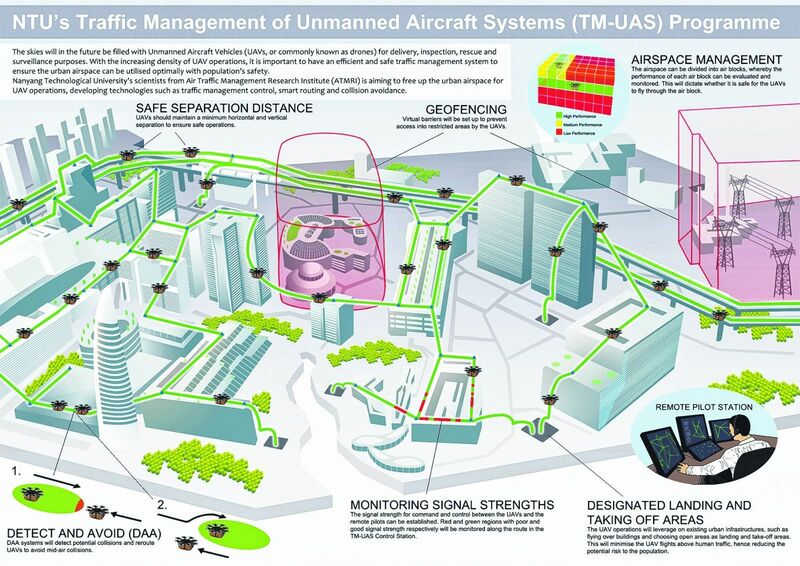 The model output includes the aircraft fleet mix operated on each route along with the number of movements, available seats and aircraft utilization. Based on the most recent ICAO forecast and with the assumption of a fixed route network. Conflict Zones Map Alert, that map is create with many sources from inside and outside; ICAO don't endorse all the layers, the goal it's to represent more closely the situation in a context for safety aviation and sharing of conflict zones risk information. The geodesics are great circle arcs. Following the AIP and other sources. Following the UN country and other sources. 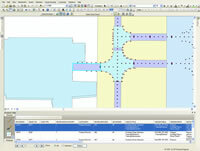 Micro movements, Mouving by him self in the ArcGIS software. ICAO SATELLITE VOICE STATUS: level of implementation of ICAO SATELLITE VOICE, Regional Office must updated the Data, just download the excel file, add a new column for your update, fill in and send to me. 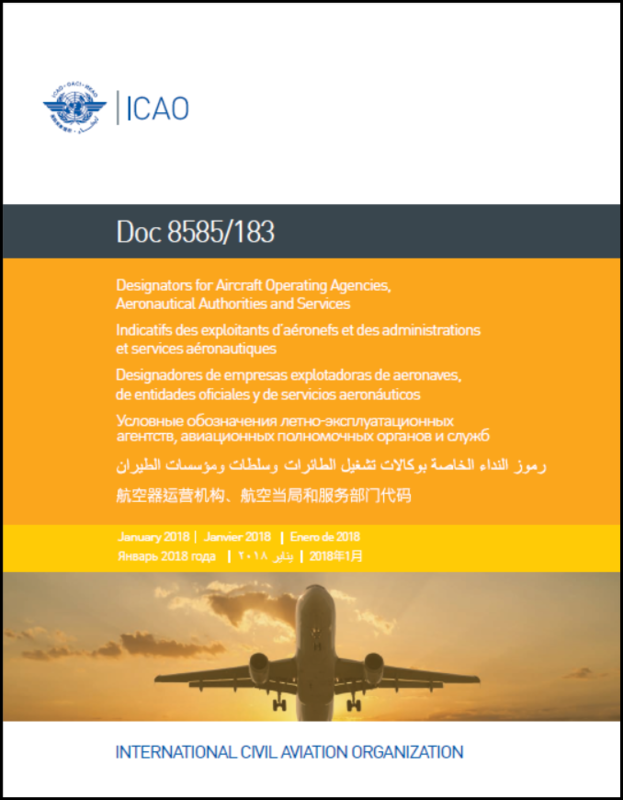 ICAO Doc 7910 just viewer no data download! Don't forget disabled protection for now, to see the maps! This product is provided as is, without warranty. In no event is ICAO liable for damages from the use of this product. This product is subject to license and copyright limitations and further distribution or resale is prohibited. Price: $1995 USD Description: Which type of movements? 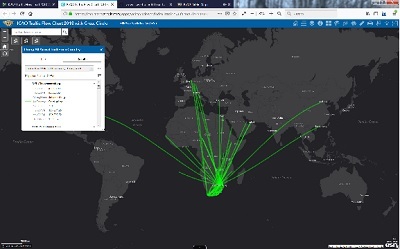 First the data are from OAG traffic flow for year 2015: 33,218,407 total movements (depart and arrival) for the year (domestic and International) and if you make a segmentation (clipping all the flight path with the ICAO FIR you obtain 104,969,637 total movements for 2015) because some flight path are devised in 3,4,5 or more dependent of the number of crossing FIR. Product Format: Excel file with attribute: Name of the FIR, Total of Movements for that FIR following the Clipping of great circle route, Number of flight crossing that FIR, World rank or percentage of traffic for that FIR. 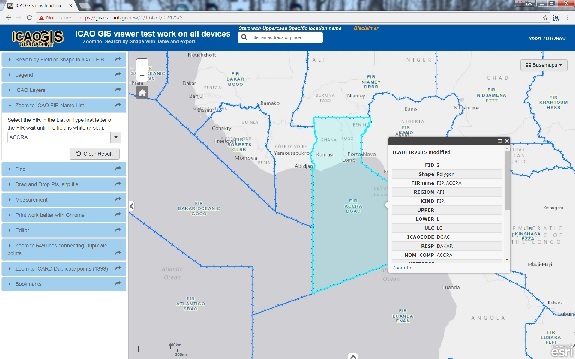 Price: $930 ANP's compilation of all Search and Rescue ICAO Plan, SAR Information Region following part of (FIR'S) and MORE layers see the SAR GIS SERVICES, are critical elements in the planning activity of Aviation. History: The ICAO GIS Services create an electronic database based on the geographical Search and Rescue SAR from around the world. This information is gathered from each state from regional offices and approved amendments dating back to 1947. We make a compilation in the ESRI format shape file provide by Email or secure direct download site when you order, Files send to you: WorldSAR.shp, AFI,ASIA,CARSAM,EUREST,EURWEST,NAT,MIDSAR.shp, other layers from SAR MAP: AMVER, PRU, LRU, MRU, RU, RCC, SPOC, HEL-L, HEL-H, HEL-M, SRG, MRG, LRG, VLR, ELR, shape file. Price: $1,500 FREQUENCY FINDER: Create with FileMaker12 by Robert, we have both version for FMP12 or runtime, you need to install Google Earth for the graphic mapping interface. In conjunction with the development of FF (FREQUENCY FINDER), the ICAO Aeronautical Communications Panel (ACP) has updated the technical basis for frequency assignment planning. 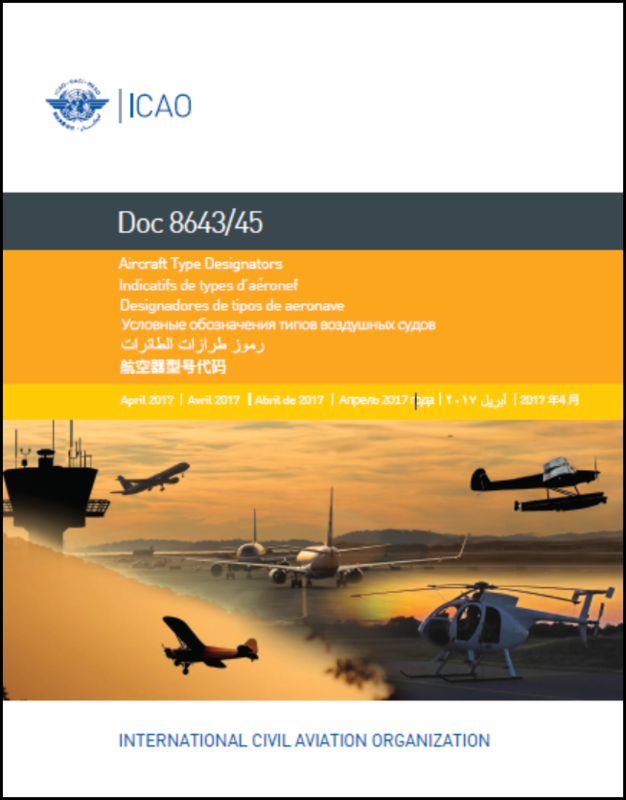 The result of this work is incorporated in Volume II of the ICAO Handbook on Radio Frequency Spectrum Requirements for Civil Aviation (Doc. 9718). 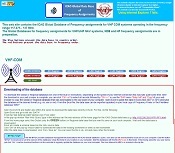 The current version (September 2012) includes frequency assignment planning criteria for VHF COM systems. 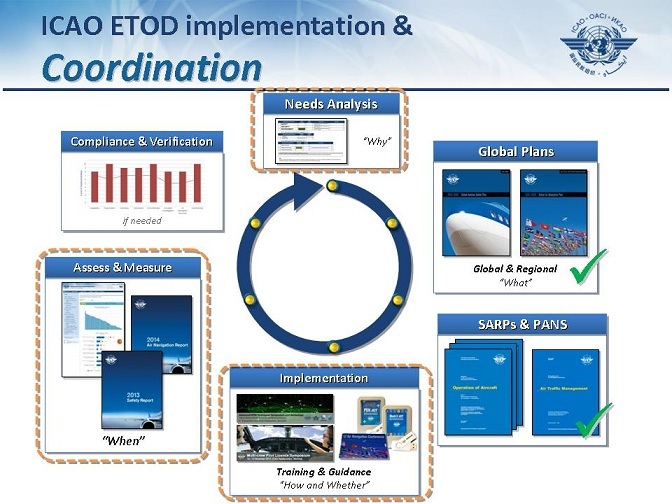 Material for other ICAO communication and navigation systems is in preparation. 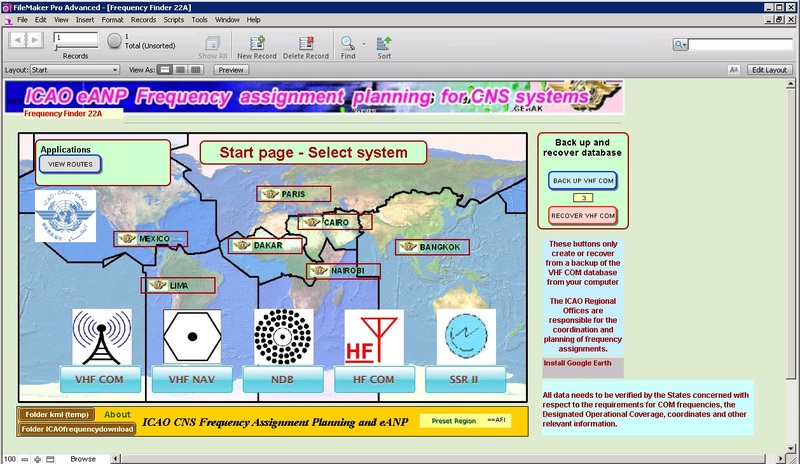 The most recent version of this Handbook can be downloaded from the ACP website (Repository section), Global Database of Frequency assignments for VHF COM. 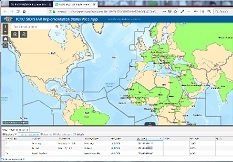 Database available for Download from PHP interface Viewer ICAO VHF Data and More (data management for frequency assignments and radar data / SSR Mode S II codes with the ICAO Global database). Compile by Robert and Regional Office. Price: ICAO is waiting for an ESRI Bronze partner accreditation ArcGIS for Aviation: Airports assists airports and their consultants in managing, performing quality control, and analyzing their airport data for regulatory compliance such as the Federal Aviation Administration's (FAA) Airports GIS program, EUROCONTROL's Aeronautical Data Quality (ADQ), and ICAO's Electronic Terrain and Obstacle Data (eTOD) requirements. The product provides a complete GIS platform including tools, templates, and workflows that introduce efficiencies and new capabilities into the planning, maintenance, and day-to-day operations of airports. 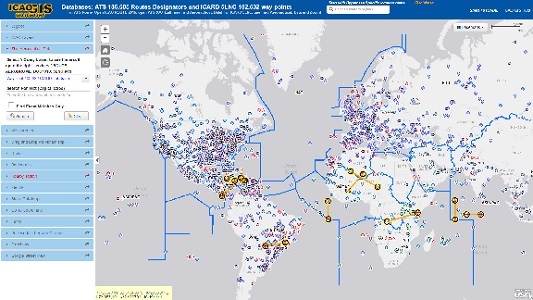 Price: $930 /study ICAO GIS Study Analysis: FIR Pollution wide World over Ocean and Land, History: From the Database of the Traffic Flow 2010 and the ICAO FIR 2012, we analyse all the traffic in each FIR (Flight Information Region) with the Origine/Destination segmentation. So the result is the complete Mapping representation of the traffic flow on the earth (over the LAND and over the OCEAN following the Origine/destination Country or State in a perspective to find a way or procedure to take in count the real Aviation pollution story. We continue now to work in our model to incorpore the pollution by kind of plane in each FIR following the flow segmentation. 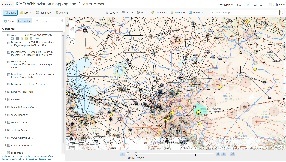 Price: $450 /study ICAO GIS Study Analysis: First Global Operational Route Analysis, first part: Compare 2003 versus 2010 Operational Route, new route, deleted route, wide World, second part: Find all Duplicate around the World in the 2010 Operational Route database, Route Designator ICA(RD) (ex: A21, A121, J6 etc) creation of layers for Route Designator Duplicate, triple, quadruple wide World. History: From the ORACLE Database in ICARD, we start to analyse all the Route Designator in a global way not just by region. So the result is the complete Mapping representation of the layers Route DESIGNATOR Duplicate, triple, quadruple wide World in a perspective to find a way or procedure to take an action to establish a procedure to erase the duplication and make a system to create unique Route Designator in all the the real Aviation system. Beware: The data linked to below may be inaccurate, incomplete, or just plain wrong. As always, critically examine the data you are using, look at what organisation produced it and what agenda they may have, and beware that there are disputes over some of the data (particularly country boundaries) and by the way affected ICAO FIR. This page contains a categorised list of links to over 100 sites providing freely available aeronautical geographic datasets and best practice - all ready for loading into a Geographic Information System. Interactive maps using HTML5 data tags, no coding! 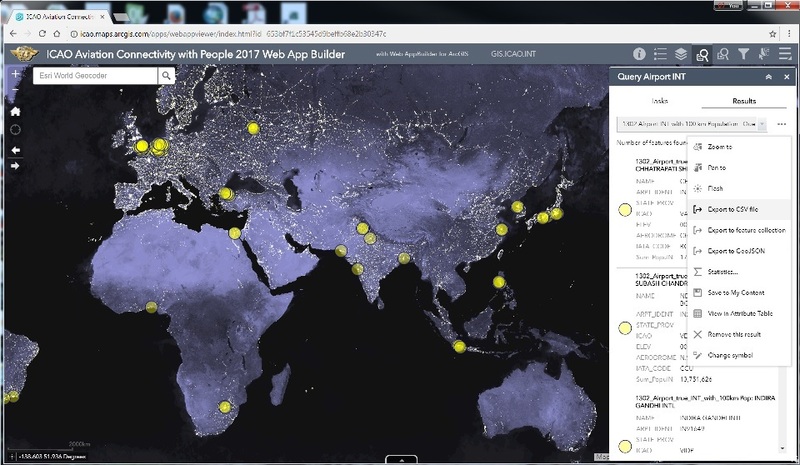 Interactive maps using HTML5 data tags, no coding! 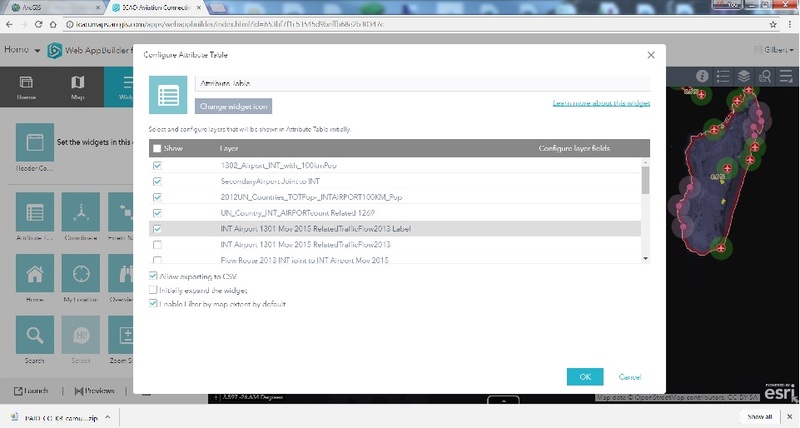 2015 lost your Folder Connections in ArcGIS because wrong policies are implemented on your computer!!! 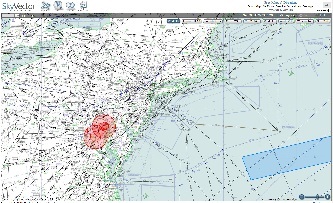 ICAO presente the GIS technology in support of aeronautical charting and air traffic flow. I'm Gilbert Lasnier, the Aeronautical GIS Officer at ICAO since 20 years. 2) Why did you create this? I kept coming across GIS datasets online that looked like they might be useful - for my ICAO work, or just for finding Aeronautical GIS data! I thought I'd keep a list of the ones that looked good - and then decided to put it online so that other people could benefit from it too. Fast-forward a few months and this is what you have: over 152 gis services, and hundreds of hits per day. 3) Where did you find the datasets? A variety of places really. Some I knew about already, and some I had used in ICAO work. Others I came across online each night I am looking for new stuff, particularly through GIS web sites stackexchange "https://gis.stackexchange.com/" and arcORAMA un site francais "https://www.arcorama.fr/". A number of items came from a wide-range of people who sent me links, asking me to add them to this site. 4) What are the requirements for a Best GIS Practice in this list? As you might guess from the title - I only list best GIS Practice sometime with gis datasets here, and I include sites that provide data free for non-commercial purposes and not free for commercial purposes. 5) Is there anything I can do to help? 6) How can I contact you? Email me at glasnier@icao.int and I'll get back to you as soon as possible. TAKE TIME, VERY HARD FOR PROCESSING! 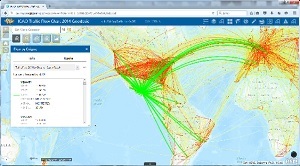 Also the ICAO GIS server has some problem of capacities, I think we have to much services (152) and customers 400,000 hits by month for the number of CORE we have, so its possible that we must restart periodically the server (restart ArcGIS Application Pool to correct the situation), reduce the number of services to 40, optimization of a lot of parameter. We are presently also in the same time making the migration from ArcGIS 10 to 10.2. Many thanks for your comprehension. 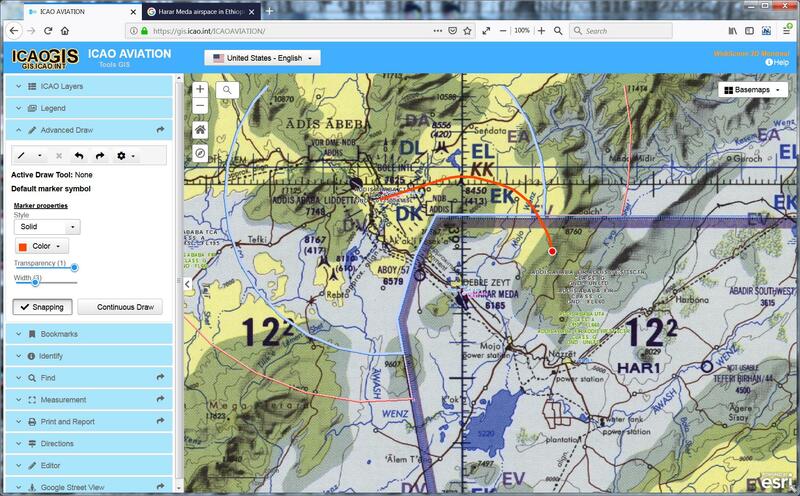 Background maps are the property of third-parties and are used in herein under license.The data and labels contained in these third-party maps are not approved by and do not reflect the official position of either ICAO or the United Nations. They are included for references purposes only. International Civil Aviation Organization helps people find commonly used layers and maps for a better understanding of Aeronautical issues and trends. 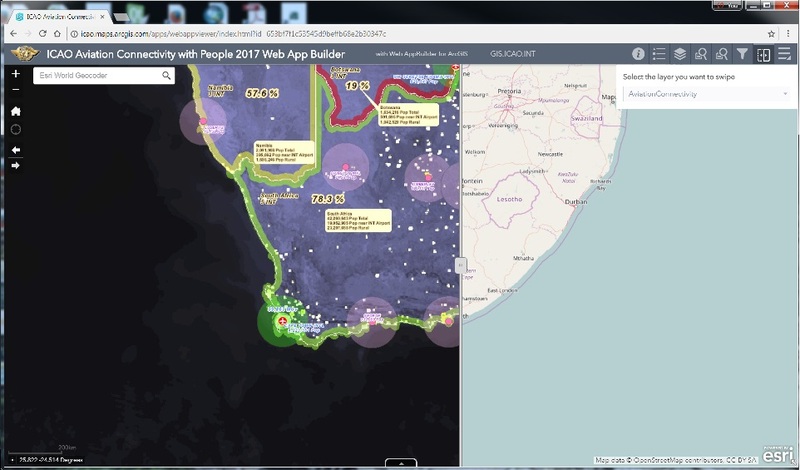 Quick access to this authoritative geospatial information supports situational awareness and better decision making across the world. Dear Mr. Lasnier, Thank you for your remarkable and timely assistance, and for the unique, world-class resources and tools you have created on behalf of ICAO. Your incredible vision and great passion for the subject matter place ICAO in a unique, indeed critical and preeminent position to provide inestimable value to the global aviation community. Invariably the far-reaching extent of your contributions will become widely evident over the coming years. And, I predict that your geospatial work product will ubiquitously underlie and inform novel and unanticipated applications which could not heretofore have been envisioned. This is the path to the future, and you've created a remarkable environment within which to foster and advance it. Again, thanks for all you do. It has been a pleasure working with you.